Rubber Fittings are a durable and flexible solution for general pipework jobs around the Pond, Home and Garden. 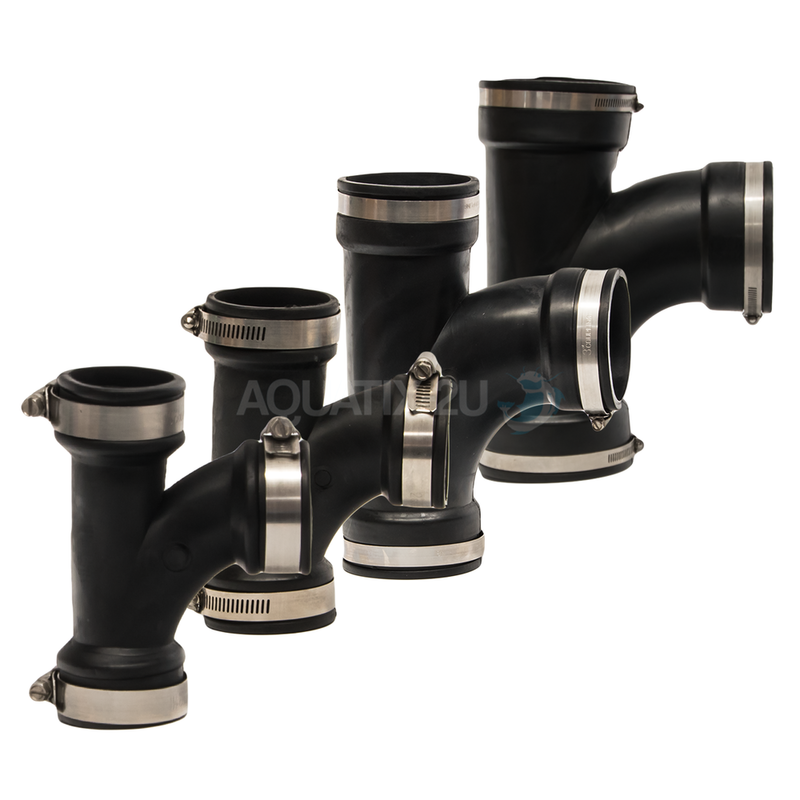 Made of a strong and durable rubber, the fittings are designed to easily fit onto various types of pipe from PVC to lead, Copper to Clay. 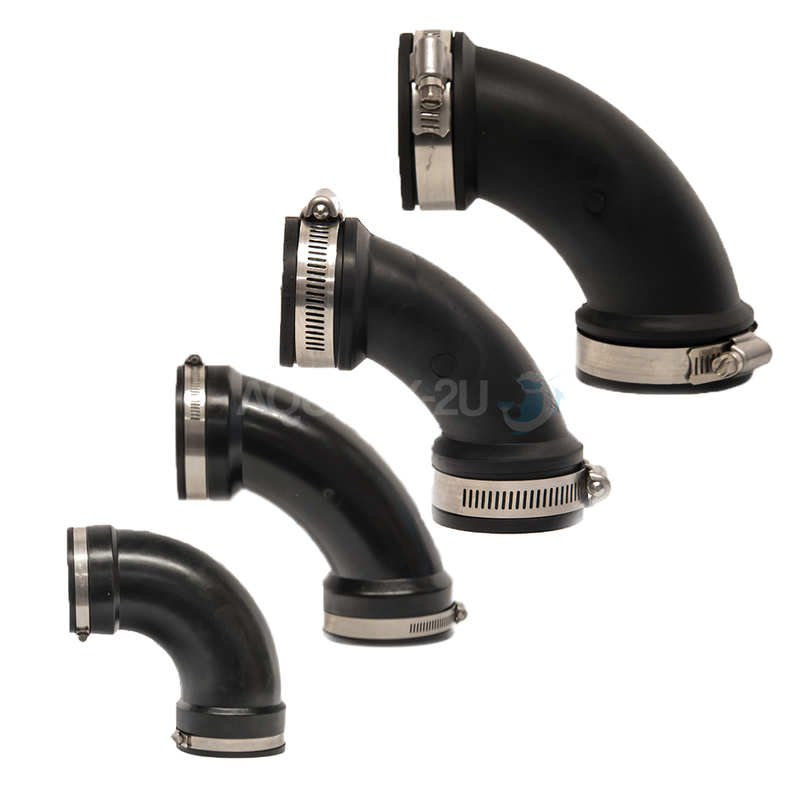 The fittings are provided with strong and corrosion resistant stainless steel jubilee clips to make attaching and sealing easy. The Rubber fittings can be used around the pond with Solvent and Push Fit set ups, in the garden for waste and sewer solutions and around the home for general use. 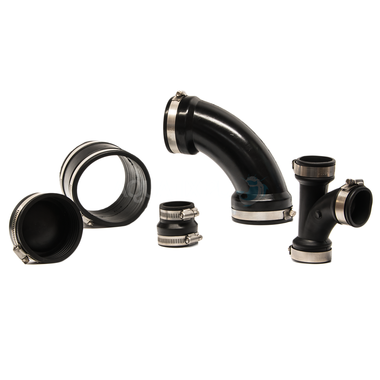 These Inline joiners are simple to attach and help to join to pieces of pipe in a straight run. 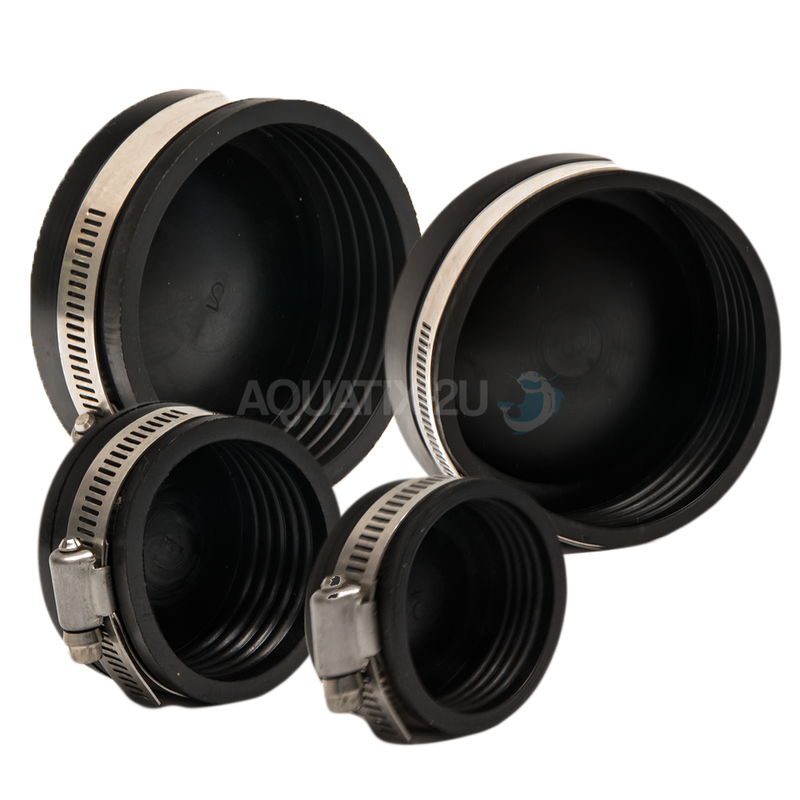 The Blanking caps, also known as Stop Ends, can be attached to the ends of pipes to stop the flow of water escaping. This is perfect when a system is being redesigned and you may wish to stop the water escaping from an older junction. 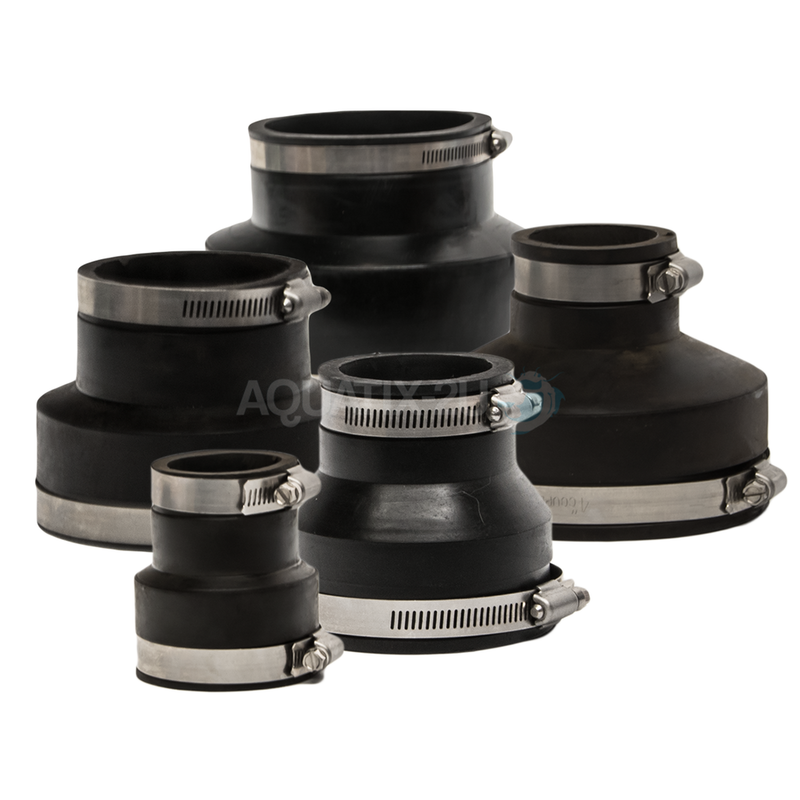 Reducers are used when 2 pipes of differing diameters are in the system and need to be connected easily. 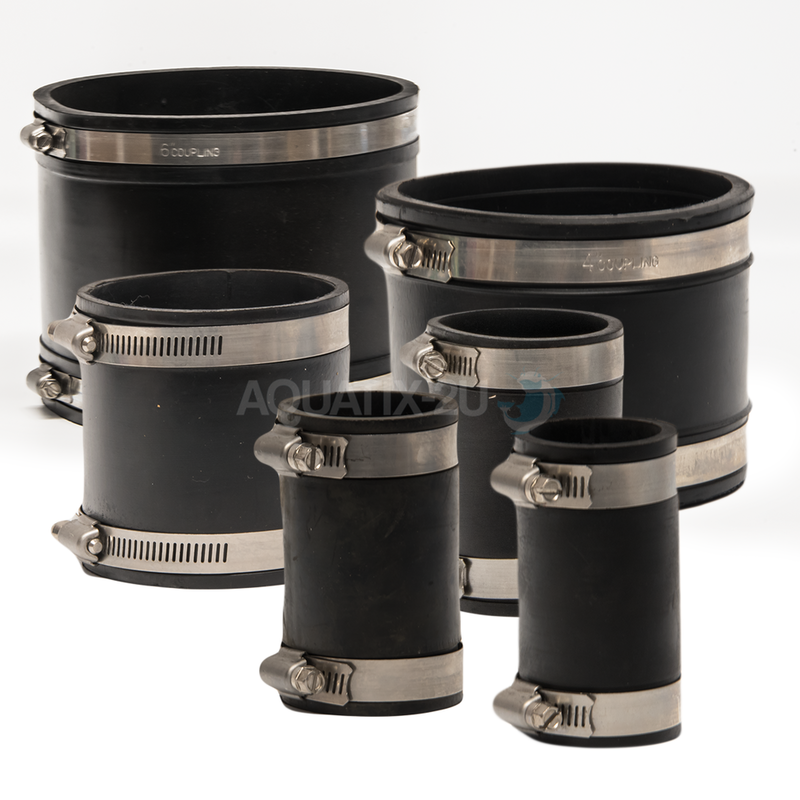 The reducers range in size to suit most common tube types and combinations. Please Note - the sizes given below indicate the pipework they are suitable for use with. Sizes Available : 1.25", 1.5", 2", 3", 4", 6"
Sizes Available : 1.5", 2", 3", 4"
Sizes Available : 1.5" to 1.25", 2" to 1.5" , 3" to 1.5", 3" to 2", 4" to 1.5", 4" to 2", 4" to 3", 6" to 4"